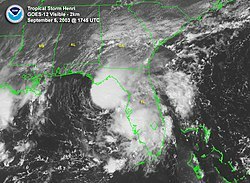 October 24, 2005 – Hurricane Wilma makes landfall near Cape Romano as a major hurricane, producing hurricane-force winds and moderate precipitation across much of southern portion of the state. The winds of the hurricane leave 98% of South Florida without power. 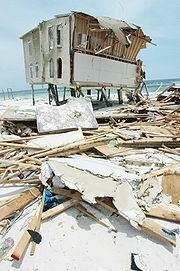 The passage of Wilma results in hundreds of damaged or destroyed homes, with damage reaching $20.6 billion (2005 USD, $25.8 billion 2017 USD), the fourth costliest tropical cyclone in United States history. Five people die in the state as a result of the hurricane.